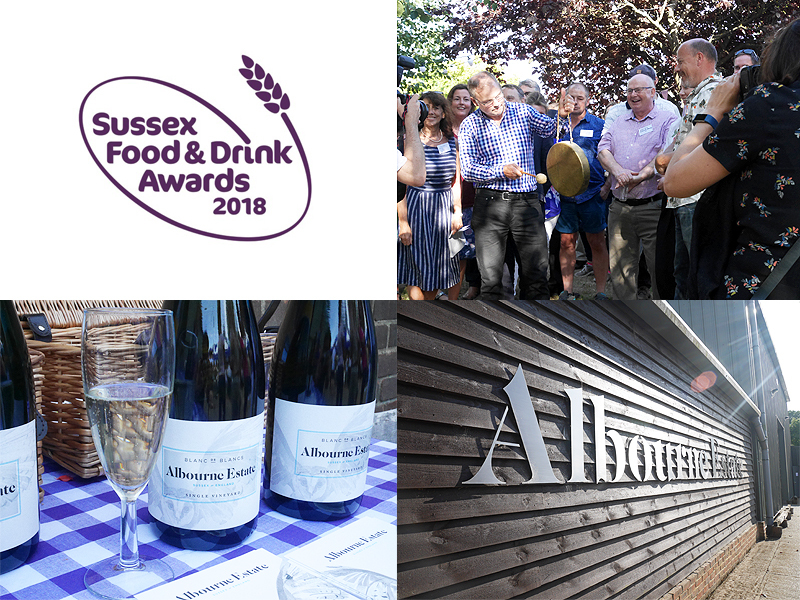 It's great being your own boss, allowing myself to steal a couple of hours out of the studio on Monday, to toast the announcement of the finalists for the Sussex Food and Drink Awards 2018. The glorious sunshine and beautiful surroundings at the Bedlam Brewery and Albourne Estate made it even better, far better that staring at website code! It was so nice to see where Bedlam Brewery do their thing (such lovely people too) and I had yet to discover their neighbours, Albourne Estate. It's a young vineyard a stone's throw from Brighton on the Sussex Downs and they have just released their first sparkling this year. The Blanc De Blancs (you know I love it) was lovely as was the elegant labelling with illustrations of wildlife commonly seen on the estate. Grab a glass if you can now it's available. The full finalist listings are below but it's telling how good the Brighton restaurant scene is getting. Taking up a number of the nominated spots for the Sussex Eating Experience of the Year are some of the city's finest; 64 Degrees (natch), Issac At, The Set and Etch - particularly relevant as Steven Edwards won young chef of the year in 2010 at these awards. Seems to be doing alright for himself since! Also good to see so many other Sussex businesses that I value, a reminder of what a great region we live in for brilliant produce. A whopping 13,000 votes were received last year and voting is now open so you can champion your favourite Sussex Food Businesses at this year's awards. You can vote here until 19 September: www.sussexfoodawards.biz.